Deserted Places, Iceland & Bulgaria. 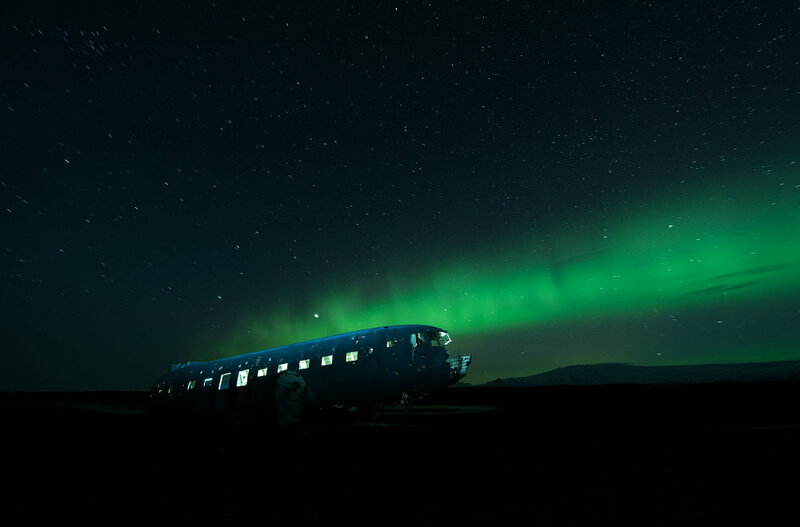 In a deserted area of Iceland’s south coast lies the wreck of a 1940s Douglas DC-3 aircraft. Photographer David de Rueda said: ‘I arrived there at 4 am and, as we waited, polar lights gradually appeared on the horizon. ‘I admired this magic show until dawn and used a 90-second exposure, with some light painting added inside the plane, to capture this image. The Buzludzha monument explored at night. ← Abandoned train tracks and small-town history.